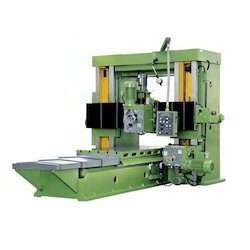 OM International Machine Tools Plano Miller Machine Manufacturer produce the Plano Miller Machine with great sustainability and able to multifunction with heavy duty work ease. It provides cheapest Plano Milling Machine India to its customers that suit their budget. Admit in Columns X Job Height 72" x 72" 96" x 72" 60" x 60" 72" x 72" 96" x 72" 120" x 72" 72" x 72" 96" x 72" 120" x 72"
Cross Slide Face 24" 28" 20" 24" 28" 30" 24" 28" 30"
Pillar Face 20" 24" 18" 20" 24" 24" 20" 24" 24"
With highly driven technical excellence, we are instrumental in providing our clients with best in class Heavy Duty Plano Milling Machine. Well known for its heavy duty design, this milling machine is immensely used for aluminum die cutting and engraving. In order to provide defect free milling machine at client's end, it is rigorously checked against various parameters of quality. Furthermore, we offer this milling machine to our valued clients in different specifications at the reasonable price. Riding on unfathomable volumes of industrial expertise, we are actively committed to providing world class Extra Heavy Duty Plano Miller Machine. This miller machine is provided in different specifications and is extensively used for aluminum die cutting and engraving. Precisely engineered, this miller machine also checked against several parameters by our quality controllers. Our esteemed clients can avail this qualitative milling machine from us at market leading prices. We are one of the well-known manufacturers and suppliers of Plano Machine. 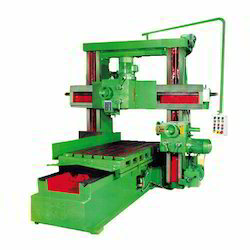 The offered plano machine is very commonly used for shaping metal pieces by turning and slot cutting. Our supplied Plano machine is equipped with the self-lubricating system which automatically lubricates the bearing surfaces. Admit in Columns X Job Height 48" x 48" 60" x 60" 48" x 48" 60" x 60" 48" x 48" 60" x 60" 72" x 72" 84" x 72" 60" x 60"
Cross Slide Face 16" 20" 16" 20" 16" 20" 24" 24" 20"
Pillar Face 14" 18" 14" 18' 14" 18" 20" 20" 18"
V to V Centre in Bed 24" 30" 24" 30" 24" 30" 30" 30" 30"
Bed Width 30" 36" 30" 36" 30" 36" 36" 36" 36"